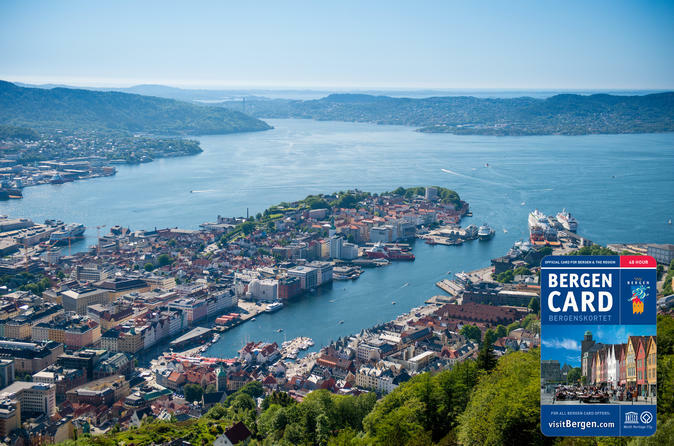 When your cruise ship docks in the Bergen port, head out on this City Sightseeing hop-on hop-off sightseeing shore excursion and discover Bergen’s best attractions! Enjoy the comfortable seats and top deck of the open-top minibus as you travel around the city and explore at your own pace. Listen to the informative onboard audio guide, and hop off at any of the 13 stops whenever you want! You decide what sights you want to see and when you want to see them. When your feet start to hurt, simply hop back on the bus and head to the next attraction! 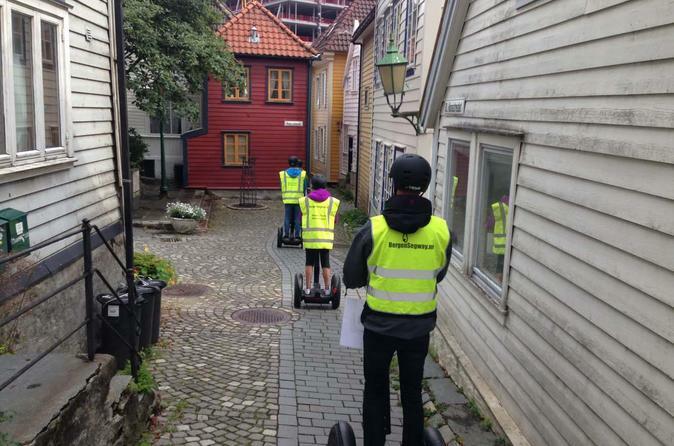 This Segway tour will show you the best sights in Bergen and leave you with time to explore the city after the tour is complete. 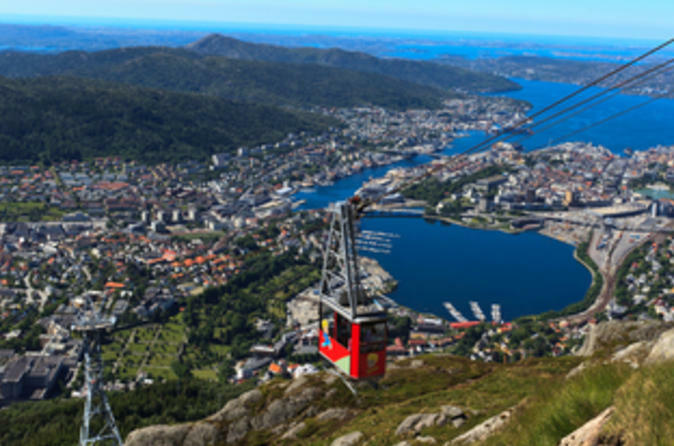 Discover Bergen’s highlights on this fun and flexible City Sightseeing hop-on hop-off tour. Settle into a comfortable open-top bus and roam the city at your own pace, ticking through its highlights and getting on and off at any of the 13 stops. 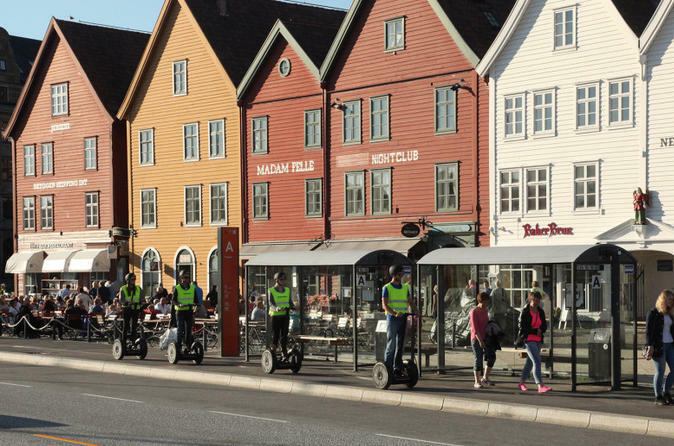 Put on the supplied earphones and learn about the city’s landmarks, including the UNESCO-listed Bryggen district, from the interesting onboard audio commentary, and then simply hop off and back on the bus again according to your own itinerary. Your ticket is valid for a full 24 hours. This is an amazing tour customized to give you a truly unique experience. 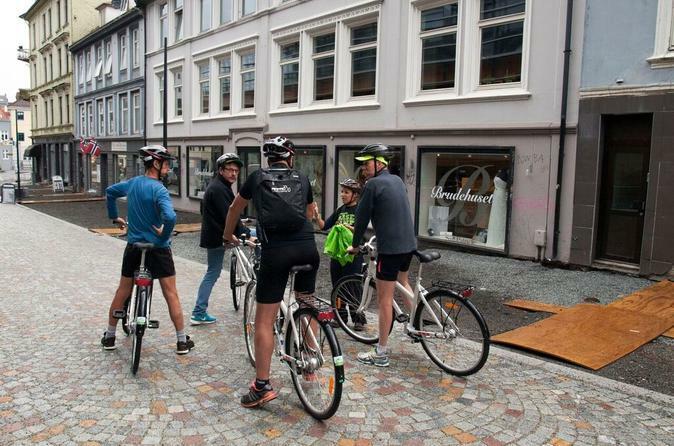 The tour will first show you Bergen city before we start the ride all the way up to the peak of mount fløyen. From here you will have an excellent viewing point of Bergen incl downtown and port area. If you are in Bergen this is absolutely a must to go fishing. 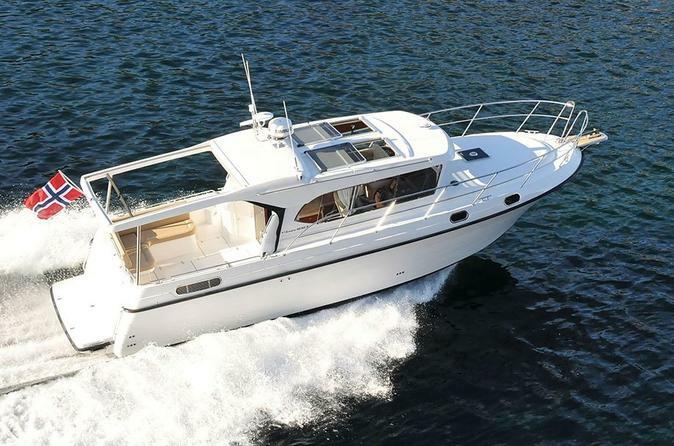 The location by the open sea provides fantastic fishing possibilities. The most common species are saithe, mackerel, cod and ling. Experience Norwegian fjords, mountains and valleys, all summed up in this round trip that can be enjoyed in peace and comfort. 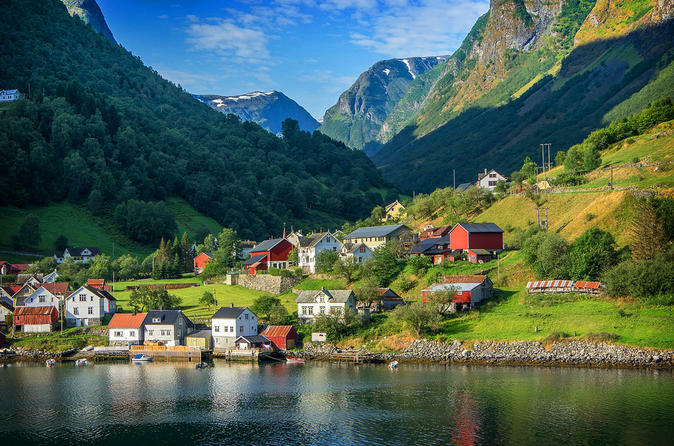 This round trip takes you on a journey through some of the most beautiful scenery in Fjord Norway, and includes breathtaking experiences on the Bergen road, the Flåm Railway, the Aurlandsfjord, the Nærøyfjord and the steep Stalheimskleiva road. Private city tour around Bergen. 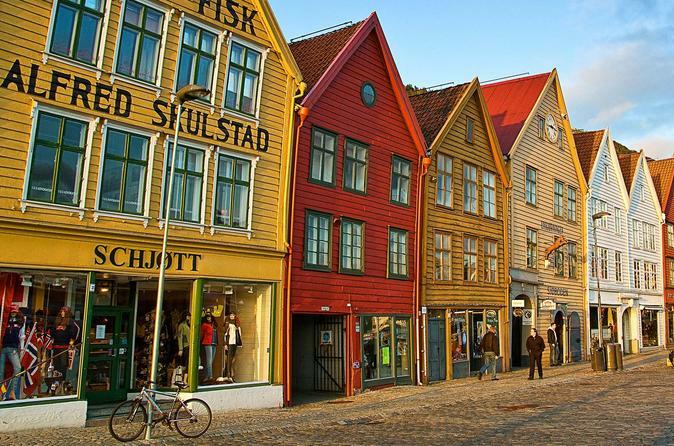 Combination of Walking tour and driving tour around beautiful Bergen, which will take you to the Bryggen area, to look at the medieval houses, and hear their story. 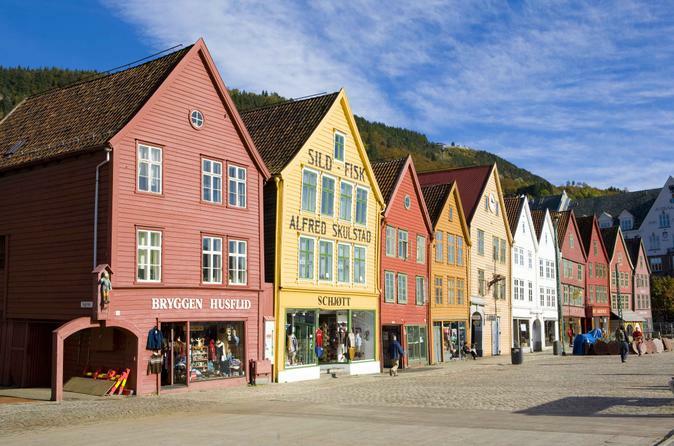 We will also walk in other historical areas in Bergen. Enjoy a self-guided biking tour from the city center to Edvard Grieg’s home on Troldhaugen, where you eat lunch and listen to a reconstructed Grieg concert. Visit the local castle, Gamlehaugen, the home of Edvard Grieg and the museum, along with the Fantoft Stave Church on this 5-hour bike tour. 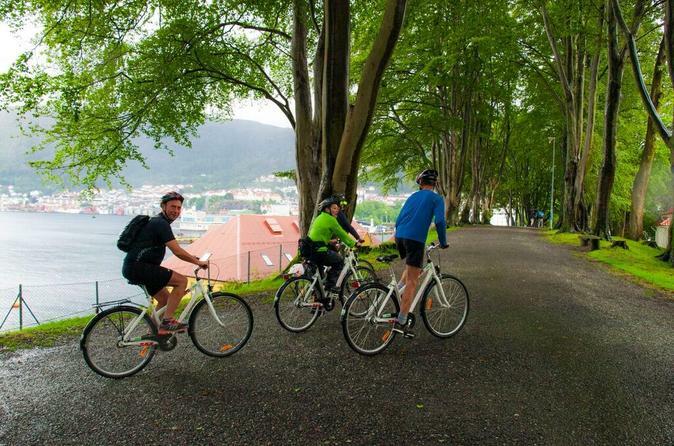 Enjoy the view from Fjellveien on a guided bike tour in Bergen, where you are biking through the city’s history; Old Bergen, Bryggen, Fishery Museum.